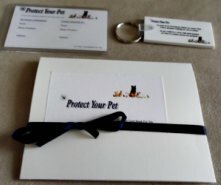 Although as cat parents we enjoy buying cat accessories for our feline friends, it is important to make sure that we are always buying the safest ones. Pet stores are filled with cat accessories in all colours, designs and sizes, but not all products are created equal. Some cat collars and cat toys, although attractive, are simply not safe for your cat, and should be avoided. 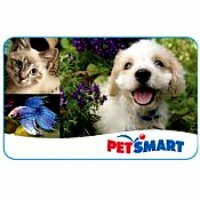 Below we will discuss how to buy the safest cat collars, cat toys and cat carriers for your cat. Collars are a type of cat accessory where tags are added as a way of identifying your cat. These tags usually have your cat's name, address and phone number. There are also additional tags that can be added to inform others that your cat has been microchipped and has received their rabies shots. Even if your cat is microchipped, which is where a chip is placed in his/her ear that has your contact information,a collar allows others who cannot scan your cat to easily see your contact information. These cat accessories come in many different colours, and designs, some even come with safety features like reflective collars which make it easier for others to see your outdoor cat at night. When buying a collar it is important to find one that fits your cat,and isn't too big or too small. To read a free guide on how to choose the safetest cat collar for your cat, visit Cat Collars: A Guide On How To Choose The Safest One For Your Cat. Cat toys are important cat accesories that help to keep your cat active and healthy.Cats love to chase a remote control mice, roll a small ball around or attack a dangling fury tail, however some cat toys can be unsafe for your cat. When buying a toy for your cat first check if there are any small parts that can fall off over time and be easily swallowed, and remove these parts before allowing your cat to play with the toy. Durability is also another key factor when choosing a toy for your active feline. Don't you just hate buying a cat toy only to have it destroyed within a couple of days? 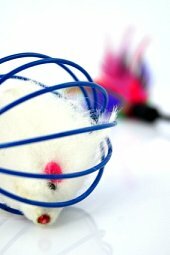 It's impiortant to buy a safe toy, but also one that will be able to with stand your cat's playing, which includes biting, pulling and moving their toy all over your home. Although there are many cat toys both online and at your local pet store, some of them aren't safe for your cat to play with. For a free guide on buying cat toys that are both safe and will keep your cat happy and entertained visit Cat Toys: A Guide To Buying Safe Durable Toys For Your Cat. A cat harness is used to safetely take your cat for a walk meanwhile using a leash. A harness will enable you to control your cat without accidentally choking him or her. When chosing a cat harness it's important to keep in mind the type of harness, since there are three types, figure eight, H-harness and the V-style, the size, avoid harnsses that are too big or too small for your cat, the width of the straps, and the material nylon or cotton is best. 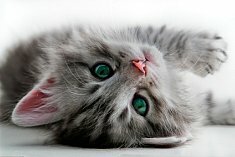 If you are interested in taking your cat for a walk or are travelling with your cat and need to use a harness it will take some times and patience before your cat is used to wearing a harness, here is a great guide where you can learn more about buying the right harness for your cat and getting your cat used to wearing a harness, Cat Harness: A Guide To Choosing The Right One For Your Cat. When we brought home our first kitten, I prepared our home by buying different cat accessories that I thought our kitten would need, included a really cute pink cat bed with lace and satin. A friend of mine who also loved cats and had cats for years looked at the cat bed, which I proudly showed her, and laughed and said, "your cat is going to make wherever she feels comfortable her bed and it probably won't be that pretty pink thing." Well she was right, our cat never slept a night in that bed, but over the years I learnt something, it isn't about how cute the cat bed is, it's about how comfortable and how warm it is in the winter and cool in the summer. We have bought other cat beds, always keeping our two princess comfort in mind and they have grown to love and use their cat beds. When searching for a bed for your cat a soft plushed fabric that your feline friend will find comfortable is best, in addition to a bed that will keep him/her warm in the winter, heated cat beds are great, but cool in the summer, which may require you to move the beds location. It is recommended that you get a cat bed that is easy to wash, makes your life easier, durable, so it lasts awhile and big enough to comfortably fit your cat's body. Cats scratch, it's a natural and healthy behavior for cats. In an effort to preserve your beautiful furniture an essential cat accessory is a scratching post, we have three. 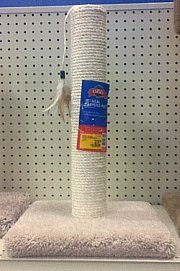 Scratching posts, are usually made of durable material like sisal rope and synthetic lambskin. The come in many different designs, from really large one like to small ones that you can attach to your bedroom door. Encouraging your cat as a kitten to use their cat accessories such as their scratching posts is a great way to have them participate in this behavior as adults, however if you adopted and welcomed into your home a adult cat you may have to introduce the scratching post by using catnip, cat treats or actually scratching the post yourself, sound weird but it works, to encourage your cat to use it. Cat carriers are one of several important and necessary cat accessories that is needed to take your cats to their dreaded vet appointments. When buying a cat carrier it is important to purchase one that is the right size for your cat. Your cat should be able to stand up and comfortable turn around in their carrier, bigger is always better. It's important that there are several openings where your cat can easily enjoy fresh air from once placed in the carrier. Make sure that the carrier is very sturdy and durable.We are a big fan of hard carriers with steel mesh doors that has a strong handle at the top and lots of ventillation. Although their are soft sided pet carriers, these are more suited for dogs than cats. To make the hard plastic carrier a bit more comfortable, we place a soft blanket in it for our cats. The carrier that your kitten starts out with, unless you buy a big one from the beginning, will usually not be big enough for them when they become a full grown cat.You can get a good quality cat carrier at your local pet store or Walmart for $50, which will last your cat many many years. 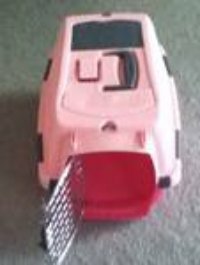 Remember to wipe out your cat carrier after each use, your cat also like this and all of their cat accessories to be kept clean. Cute And Funny Cat Videos - A collection of cat videos that will put a smile on your face. 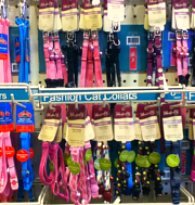 Cat Collars: How To Choose The Safest One For Your Cat - Cat collars come in many different colors, designs and materials, however not all of them are safe for your cat. Here is a free guide on how to choose the safest cat collar for your cats.